Killer Vester Flanagan sent out a manifesto on Wednesday morning. The former reporter mentions the Charleston church shooting. He wanted to incite a race war. Flanagan shot dead 24-year-old reporter Alison Parker and 27-year-old cameraman Adam Ward, both of WDBJ TV, on Wednesday morning. ABC News says a man identifying himself as both Flanagan and Williams — Flanagan’s on-air name — first contacted it several weeks ago. The man asked for a fax number, claiming he wanted to pitch the news channel a story. 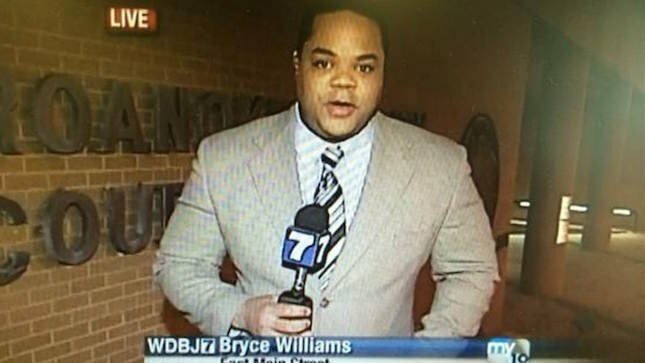 A fax reportedly transmitted two hours after this morning’s shooting appears to contain “suicide notes” authored by a man named Bryce Williams. The author then claims “Jehovah” told him to act on his plans. Flanagan also wrote about Virginia Tech shooter Seung-Hui-Cho. “I was influenced by Seung–Hui Cho. “That’s my boy right there.